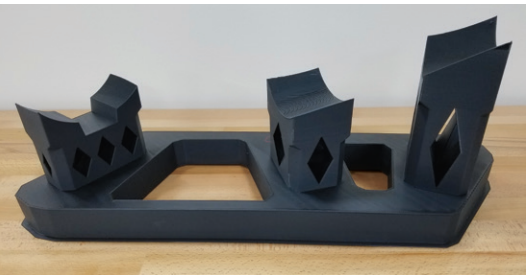 A high-end service bureau for additive metal printing utilizes a large format 3DP WorkSeries printer to create cost effective fixtures that protect their high value metal prints. Innovative 3D selected 3D Platform for their large format, polymer based, FFF printer because of the high-quality prints achieved over the big build area of 1m x 1m x 0.7m. 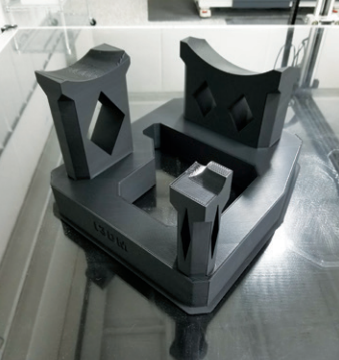 In addition, the advantages of having open market materials available also gave them the flexibility to use basic PLA, but also to print soft jaws and strengthened parts with other things such as TPU or carbon fiber filled materials when needed. 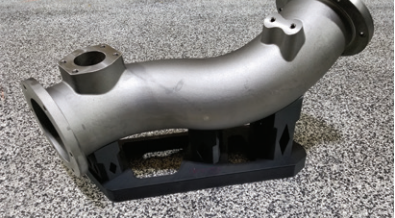 Due to 3D printing the polymer support fixtures, soft jaws, and work holding items, Innovative 3D has increased their bottom line by reducing the amount of damage and scrap to the costly metal additive components they produce. And by using the full build area of the printer, they have reduced the number of printed parts printed to a single piece that can be produced in less than 20 hours. Taylor’s advice for people hesitant to get into 3D printing is to just start trying it! His personal experience with 3D printing began at home with a desktop printer making parts for both work and personal use. That experience, along with coming from a machinist’s background has helped Taylor immensely. He understands what a traditional manufacturing process takes and can transfer that skill set over to operating multiple different types of 3D printers (powder bed metal, traditional FFF). Now three years into his 3D printing journey, Taylor encourages others to continue their skills. Additive Manufacturing significantly streamlines traditional methods. It brings design and innovation to the forefront. We know that modifications and redesigns are part of the designing process, but this method allows engineers to have creative freedom during the production process, saving us time and money. Being able to access parts quickly allows a more fluid product development and design process. 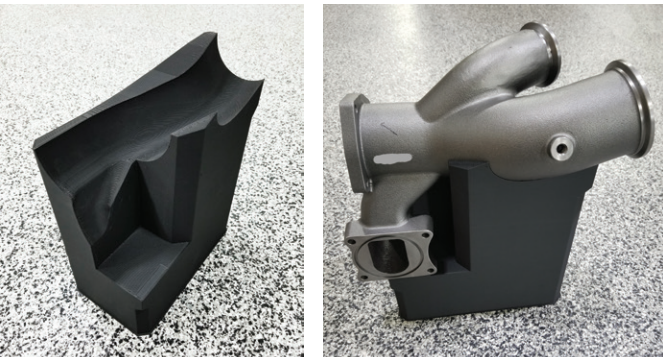 For additive manufacturing, speed is the name of the game when it comes to quoting, production and shipping. Based in Franklin, Indiana, provides metal additive manufacturing, more widely known as 3D printing, for a wide range of industries worldwide including the automotive, aerospace, and medical sectors. Taylor Johnson, an engineer at Innovative 3D, is using his 3DP printer in a variety of ways.